Having neighbors you share a fence with can be a blessing and a curse. They can hear if there’s a security threat on your property and call the police for you. But sometimes they are that security threat. 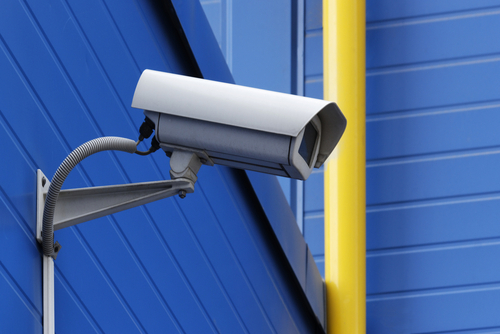 Here are some things you surveillance camera can catch if you share a fence with a neighbor. You take precautions not to put a barbecue too close to the flammable fence, but can you be so sure your neighbor is taking the same precautions? And a fire that breaks out on your neighbor’s property quickly becomes a fire on your property. If your neighbor regularly has parties or barbecues, check your surveillance to make sure people aren’t putting out cigarettes under the fence, or even worse flicking cigarettes over the fence onto your yard. If they use a barbecue, they should be using some sort of barrier to make sure sparks don’t make it over the fence onto your property. There’s nothing worse than being woken from a peaceful sleep to the sounds of hammering and drilling…at 6:45 am. You know that if you get up, get dressed, and walk next door to complain, you’ll already be so awake and upset, there will be no chance of falling back asleep. So you just deal with it and try to complain to your neighbor later. What if your neighbor says, “We weren’t doing any work that early?” How can you argue? It’s 2pm now and it’s quiet. Actually…you can check your surveillance cameras. And depending on what state you live in, doing construction that early can actually be illegal. Have you ever walked out in your yard to find piles of leaves, branches and shrubbery that have landed there? That could be your neighbor’s gardeners, not watching where they snip. If your neighbors have trees or shrubs that grow to the top of your shared fence, they have to take particular care to make sure when they trim them, you don’t get left with the mess. If your properties are close enough, your neighbor could sit by the fence and steal your Internet! Why pay his own bill, when the neighbor’s Wi-Fi is perfectly free? If you notice you’re getting a really slow connection, you may want to check your surveillance to see if there are unwanted users on there. Dogs are notorious for digging holes under fences and getting into neighbor’s yards. If you keep finding dog poop in your yard, or finding your hose has been chewed on, or your flowers are dying by what can only be urine, check your surveillance. Your neighbor’s dog might be getting too neighborly with you. You have a right to privacy. But privacy can be hard to maintain when you share a fence (particularly a chain link one) with a neighbor. Your neighbor could peer through the fence to see what sort of valuables you’re lugging into the back room, or even just to collect personal information about you. If your neighbor suddenly knows something you didn’t tell him, your surveillance might show you’re dealing with a peeping Tom. Your neighbors might accidentally send anything from a tennis ball to a kite over the fence and into your yard. Instead of walking around the property, onto the street and up to your front door to ask for it, they may just hop the fence into your yard. But you might have valuable items that you would cover up if you knew someone was going to be in your yard. If you travel a lot and have a pool, your neighbor might help himself (and his family and friends) to a little dip while you’re away. He can easily climb the fence to get into your property, so nobody on the street would even see him enter. But you should always know when people are in your pool. Should somebody drown or be hurt on your property, it can be an insurance mess. Not to mention, you don’t want strangers in your pool! Unless you live in Pleasantville, your neighbors do much more than just borrow sugar and ask you to patronize their kid’s lemonade stand. Any time you share a fence with somebody, their hazardous activities put your property at risk. Or, at the very least, sometimes they just take too many liberties with you. Your surveillance camera can keep things, well, neighborly.